Target is one of the world’s most recognized brands and one of America’s top companies serving guests at nearly 1,800 stores and at Target.com. Every day, we deliver on our unique "Expect More. Pay Less." brand promise to our guests with innovative, on-trend merchandise at accessible price points. And we are committed to protecting and promoting our brand in all of our communications. 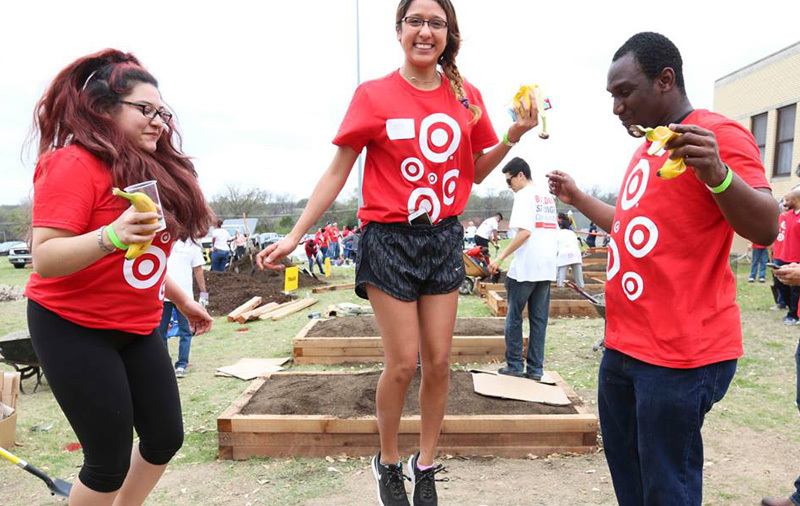 Whether it's our breakthrough advertising campaigns, our accessible and innovative marketing and social media programs, or our savvy and creative public relations, Target is always striving to strengthen our brand in what we do and what we say. We're looking for committed, creative individuals who can help our Marketing, Communications & Public Relations Team build upon the long-term success of our brand and our company. Through inspired, innovative collaboration with both internal and external partners, you won't just talk about the Target brand - you'll live it. You'll play an important role at one of America's leading retailers, and benefit from a dynamic company culture where success is rewarded.